Everyone loves an upset during the FA Cup – and no one more so than those who love football betting. With the fourth round of the 2017/18 FA Cup taking place this weekend, fans will be scouring the fixture list looking for potential giant killings that'll hurt the bookies and offer plenty of profit. The third round saw its fair share of upsets, with several Premier League and Championship sides paying the price for fielding weakened lineups. It’s worth bearing in mind that there are midweek Premier League games coming up, so there’s likely to be lots of rotation again. Arsenal, Stoke, Bournemouth and Leeds were among some of the big names knocked out by lower league opponents, while a number of teams needed replays to get through. The 16 fourth round ties are being played across Friday, Saturday and Sunday, so let’s take a look at the matches that'll be of most interest to punters. Yeovil are the lowest ranked side left in the competition. Their reward for knocking out League One outfit Bradford in the last round is a glamour match at home against Manchester United. The two clubs actually met in the cup three years ago, with United winning 2-0 on that occasion, and they are of course heavy favourites to win again at a best price of 1/6 with bet365. 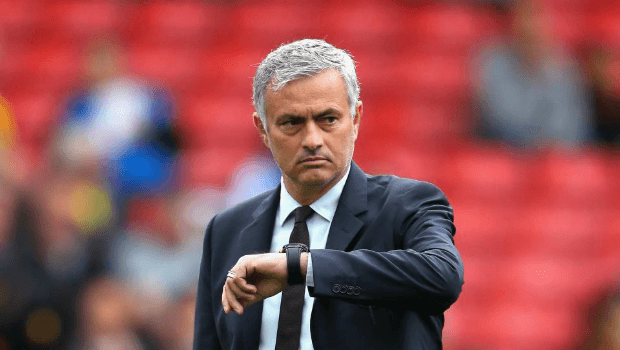 With the Premier League title race all but over, Jose Mourinho will see the FA Cup as a good opportunity to get some silverware this season, so expect him to put out a strong side as he did in the last round against Derby County. We could even see new signing Alexis Sanchez making his United debut in the humble surroundings of Huish Park – he's odds of 10/3 with BetBright in the first goalscorer market. The Somerset side may be languishing just above the relegation zone in League Two, but they've only lost five of their 21 home games in all competitions this season. They will be missing star player Otis Khan for this match, however, after he was sent off last weekend, so it's hard to imagine them pulling off what would be an unbelievable upset. It'll probably take longer odds than Coral’s 25/1 to tempt punters. Leicester City needed a home replay to see off Fleetwood Town in the third round, but they lived through to travel to another League One side on Saturday. Peterborough came from behind to win 3-1 at Aston Villa and have lost just one of their last ten matches in all competitions. So this one certainly has the look of a potential banana skin. Leicester are in decent form themselves, winning three and drawing two of their last five games, but manager Claude Puel was one of the many Premier League bosses who fielded virtually a completely different lineup in the third round. The Foxes will be wary of an upset though, having been knocked out by Millwall last year, and at odds of 8/13, the bookies clearly don’t think it'll be straightforward for Leicester either. Peterborough are also cautiously priced at 4/1 with BetBright, but they're certainly a tempting pick. The hosts also possess a lethal weapon in League One top scorer Jack Marriott. The sought-after striker netted a brace in the win over Villa and is 15/8 for anytime goalscorer or 11/2 for first scorer at some top online bookies. Another League One side who will fancy their chances of causing an upset against top-flight opposition are Wigan. The Latics are currently five points clear at the top of the division and look to be heading for a return to the second tier, so they can afford to take their focus off the league for one week. The 2013 winners suffered heartbreak in their first game against Bournemouth in the last round as their 2-0 lead was cancelled out late on, but they got the job done at home in the replay with an impressive 3-0 victory. Paul Cook’s side have lost just twice at the DW Stadium this season. While West Ham needed a replay and extra time to get past Shrewsbury in the last round. Wigan are only considered slight underdogs by the bookies, with several sports betting sites pricing them at 7/4 to reach the fifth round. The Hammers, meanwhile, are 8/5 with most sites, which are decent odds considering they're the Premier League side. One of three League Two versus Premier League clashes in this FA Cup fourth round sees Newport hosting mighty Tottenham. The Welsh side pulled off one of the shocks of this season’s competition in the last round when they came from 1-0 down to beat Championship side Leeds at home. Mike Flynn’s men are in good form heading into this match, although they did have a league match on Tuesday, so fatigue could be a factor against Tottenham’s Premier League athletes. Nevertheless, they’re unbeaten in six home games and Rodney Parade will be an uncomfortable and intimidating ground for Spurs to go to. Mauricio Pochettino named a fairly strong lineup against AFC Wimbledon in the last round, including star striker Harry Kane, but with crucial Premier League games coming up over the next few weeks before the knockout stages of the Champions League begin, he may be tempted to rest some of his stars on Saturday evening. Spurs have more than enough quality in their squad to get through this tie, though, and they should win comfortably. The eight-time winners are 1/7 with many of the bookies, while the best odds on Newport pulling off another giant killing are odds of 18/1 with Ladbrokes' online bookmaking site. A better bet, however, might be both teams to score, as the Welsh side have failed to score in just 2 of their 18 home matches this season. For a great range of markets on all of this weekend’s FA Cup fourth round fixtures, head to BetBright. All new customers can get a matched bonus of up to £100 on their first deposit.